Sania Mirza of India and Ivan Dodig of Croatia talk beat Samantha Stosur and Sam Groth of Australia in their mixed doubles semi final match on day 12 of the Australian Open 2017 at Melbourne Park. Sania and Ivan defeated home favourites Samantha Stosur and Sam Groth 6-4, 2-6 (10-5) in an amazing semi final match. 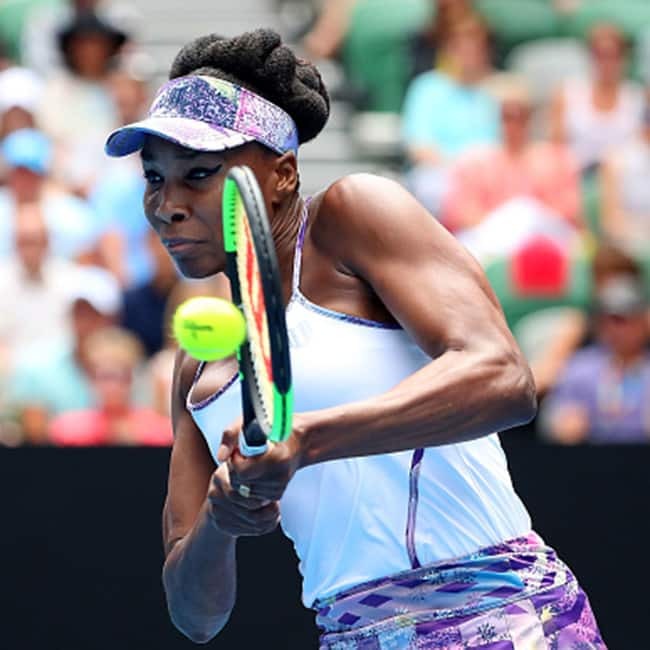 Venus Williams of the United States celebrates after winning her semi final match against CoCo Vandeweghe of the United States on day 11 of Australian Open 2017 at Melbourne Park. Venus Williams beats Coco Vandeweghe by 6-7 (3), 6-2, 6-3. Coco Vandeweghe was the only semi finalist younger than 30.